Manufacturer of a wide range of products which include double flanged pipes, cast iron double flanged pipe, ductile iron double flange pipe and ductile iron double flange pipe di df pipe. 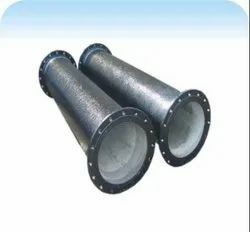 With desire to cement our reputation in the market, we are engaged in offering an excellent range of Double Flanged Pipes. 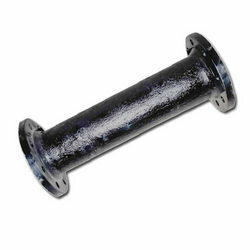 These pipes are extensively used for transporting the liquids like drinking water, acids and other such liquids. The provided pipes are designed by our adept professionals by using the finest quality raw material and sophisticated technology. Clients can avail these pipes from us at nominal prices. We feel immensely pleased to offer an exclusive gamut ofCast Iron Double Flanged Pipe to our esteemed clients. Our offered collar is designed by utilizing top notch quality raw material and innovative technology by our adroit professionals in line with set quality norms. In order to ensure durability, the provided collar is rigorously tested by our quality examiners. We offer this collar in varied specifications and designs, as per the needs of our clients. 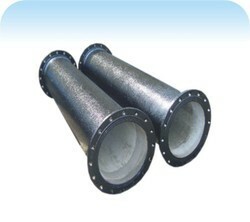 Looking for Flanged Pipe ?